In about 40 minutes from posting this at 3pm Brisbane time I'm going to go live on Instagram talking crafty stuff. 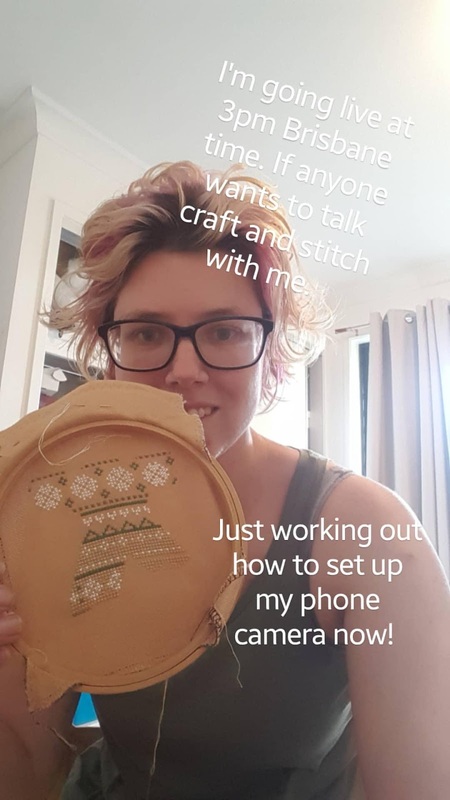 So come join me @naughtscrossstitches for a crafty chat and stitching updates. If you can't join me I'll try to work out how to save it and post it but I can't guarantee that I'll be able to work it out. P.s. it's now over and I think I've managed to get the video uploaded right onto YouTube. So here it is.... I'm a bit awkward to start with but I did start to work out what to do.